You’re probably wondering what types of services that San Francisco bay area towing provides to the bay area. 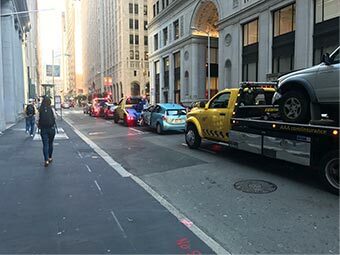 We provide San Francisco residential towing as well as flatbed towing for cars that aren’t able to move or that are low profile cars, aka slammed to the ground, lowered as heck. These usually include Porsche towing, Lamborghini towing, Ferrari towing, Bentley towing, Rolls Royce towing and many other exotic cars. 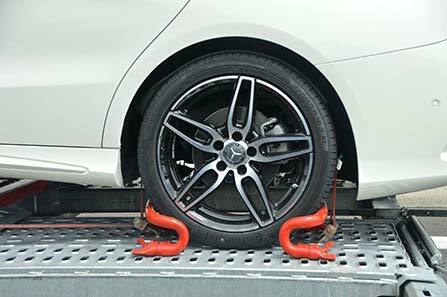 We also provide driveway towing for you if someone has blocked your driveway. Motorcycles often break down in The City and surrounding locales due to all the hills and constantly having to ride your clutch from a dead stop. Guess what, we got you covered there too, we’ll pick you and your motorcycle up and tow the motorcycle to the nearest repair shop or safely return you and motorcycle to any address you like. 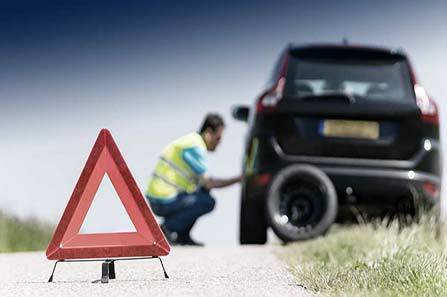 Aside from our bay area towing service, we also provide many roadside assistance services. Some of these services include bad battery diagnosis and replacement, flat tire replacements, pulling your car out of a stuck situation with our wench. Our towing staff has different levels of mechanical knowledge. Depending on the staff member that arrives to help, we offer support on minor repairs or helpful tips for the vehicle owner to attempt; we are also open to assisting hands-on with the repairs if asked upon. One of our more popular services is our 24-hour towing services. We're proud to be a tow company that provides towing or roadside assistance twenty-four hours a day. When it comes to towing, San Francisco Bay Area towing has a breadth of experience. Our staff has been in the industry for decades and has seen just about everything when it comes to towing. Our staff makes it a priority to use the best safety measures available for all 24 hour roadside assistance calls and towing service. Some of our safety measures include wearing bright reflective vests while on calls, using bright reflective cones to alert all vehicles from oncoming traffic, providing traffic control if needed, turning on all vehicle safety lights and exercising best towing practices for the safety of all involved. Our fleet of tow trucks is growing constantly. 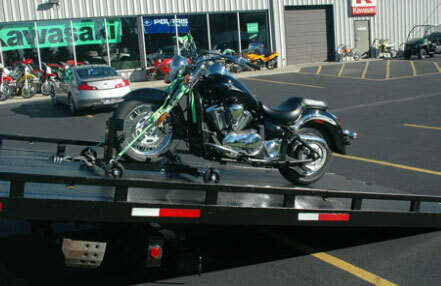 We can provide every tow truck service that is imaginable. In our fleet, we have heavy duty towing wreckers. These heavy duty tow trucks can tow anything. These include bus, semi, tractor trailers, boom trucks, and many more. Other tow trucks include light duty tow trucks, medium duty tow trucks, and flatbed tow trucks. 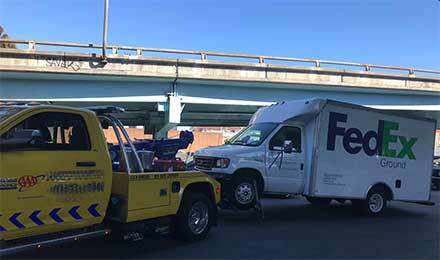 One of our unique tow trucks is one that can provide low clearance towing that is capable of towing vehicles out of parking garages with a low clearance. This low clearance tow truck is maybe the only one in the whole city. All of these towing services can be provided for local towing service as well as long distance towing service. If you’re ever wondering if there are any towing companies near me, we can help. You might be stuck in a situation that leaves you stranded in an undesirable area or on the side of a freeway or dark, abandoned road. Our towing service can be utilized anywhere in the bay area. If you’re in the San Francisco area that is our hub, but we also service all the surrounding cities, north, south, east, and west of San Francisco City. The towing insurance we utilize covers us no matter where we go in the bay area. So if you are in Marin Headlands, San Mateo, Mountain View, Fremont, Hayward, Oakland or anywhere else around the peninsula or near the bay we can assist you and you will have peace of mind to know that you are covered if an incident occurs while your vehicle is in our possession. Often times all our vehicles will be out on service calls and we won’t be able to answer our phones in the evening due to a high number of towing service or roadside assistance calls. 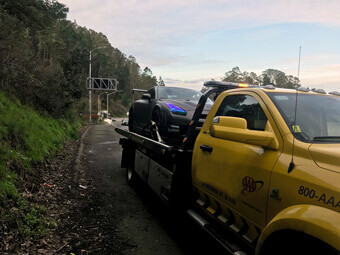 Other local towing companies that we think are great companies to refer you to in case we are too busy are Atlas towing, Golden Gate tow, or Courtesy tow.